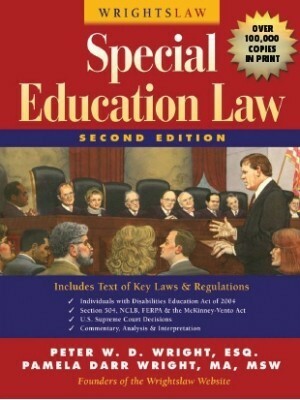 Three questions from a special education teacher are answered below with the citations from federal law. Question #1: When IDEA 1997 was reauthorized as IDEA 2004, Section 1400 Findings and Purposes, Paragraph (E)(i) and (ii) were deleted in entirety. Are teachers no longer required to be highly-qualified in IDEA 2004? 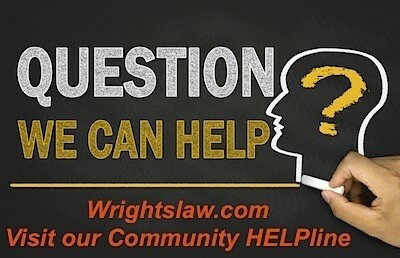 Answer: In IDEA 2004, 20 U.S.C § 1400, Paragraph E incorporated (E)(i) and (ii). 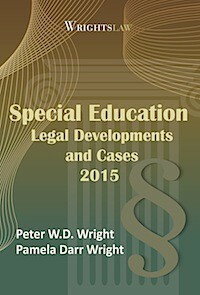 (20 U.S.C § 1400 (E)); Wrightslaw: Special Education Law, 2nd Edition, page 46. Question #2: There is an assistant in the classroom with a high school diploma, no college, and no paraprofessional certificate although she says she has passed a test. Can an assistant fulfill direct service hours on student IEPs with no special education teacher present, in an inclusive setting with only a general education teacher present? Behind. The new statute, Every Student Succeeds Act, was signed into law by President Obama on December 10, 2015. No, an aide cannot provide direct service hours with or without a special education teacher being present. Question #3: Can an assistant with a Paraprofessional Certificate fulfill direct service hours on student IEPs without a special education teacher present, in an inclusive setting with a general education teacher present? Educational responsibility belongs to the teacher, not the paraprofessional. The paraprofessional is a tool used by the teacher to accomplish her responsibility of delivering an education to her students. This entry was posted in No Child Left Behind, Teachers and tagged Classroom Aides, One-on-One, Paraprofessionals by Pam Wright. Bookmark the permalink. Can a paraprofessional stay with kids in a room without a teacher present? This would depend on state, & school rules, & what person is doing. This is a question for a principal or their boss. Teacher associations or the state education agency should be able to give information on this. This can create a risky situation for every one. I recently got a home health nurse to help with my son and his multiple disabilities in the classroom, since the school hadn’t. The school doesn’t want her doing anything for my son, which is the continuity of care with the therapies he receives. They haven’t been doing that, and she was. He has made the most progress with her doing his therapies because they weren’t. Now they want their educational aid I’s to work with him doing that. Advice, issues, anything? Your state parent training and information center would be a source of information of how to handle this in your state. http://www.parentcenterhub.org/find-your-center Sometimes schools take this position, because they fear the parent will request that they pay for the nurse, or they do not like “outside” people in the classroom. Or it could be that they are legally obligated to do this. Jessica, Chuck is right. If your son needs a home health nurse so he can access his educational program, the school is supposed to provide one. Schools often prefer to use one of their education aides, even if these aides did not provide the services your child needs. *Please* document everything you are told and by whom. Not keeping written records (documenting) is probably the #1 mistake parents make. 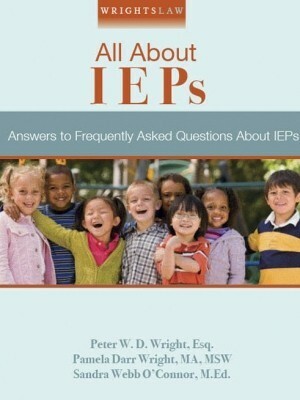 Can a special education intern chair an IEP meeting? If so, do they need to identify themselves as interns on the signature page of the IEP? Yes an intern can chair an IEP meeting- it’s part of their training but they should include intern in their title. Sean, No, I’m sorry you were misinformed. I can’t imagine who would try to pass off an intern as a person who possesses the knowledge and skills to chair IEP meetings. “a student or trainee who works, sometimes without pay, at a trade or occupation in order to gain work experience. As a general rule, interns work under the supervision of highly trained professionals because they do not have the education and training to work as independent professionals. As someone who frequently trains students I stand by my answer. An intern can, and should, lead meetings just as a student teacher takes over a class and a doctor doing their residency takes over cases. Of course all of this is under the supervision of the person training them, but the intern/ student is taking the lead. Can a Title 1 teacher assistant be pulled to cover service hours for an IEP? This would depend on whether the assistant was qualified to provide the service, & the rules on what Title 1 staff can do. I’m a para and if another para is absent and there are no classified subs available, they want to pull a para from their class (student) to cover another student leaving their OWN students with no para. They could bring in a certificated sub but want to do this instead. Is that legal? If the students iep includes a para can they switch us around and leave one or more such students without? This appears to be a violation of the student’s IEP. Sometimes the special ed director is not aware this is happening, and may try to stop if from happening when they are aware. I am at a school where the chemistry teacher has left and there is a substitute. The students are assigned to read from the book and answer questions and the IEP students are not getting the services needed because there is no special education teacher. Additionally, the aides (not paraprofessionals) have been inputting grades, failing the IEP students. Is this legal? I work for the Department of Education as a paraprofessional I was left alone by the teacher with three students and one other paraprofessional for 40 minutes. The result to that was a student getting on the computer and navigating onto an inappropriate web site. I was also groped and harassed by the student This happened in 2016. I’ve been informed the teacher when she arrived in the classroom I told the computer administrator to come down he witnessed the site and verify that for me he told me that he will have to report it to the Department of Education . a week later a student put false allegations on me the same student that was the site. My union is non effective and I need legal representation but I don’t have the money. IN NY, in a self contained class- are certified personnel required to be the class at all times? Even when 70% of the students are required to have 1:1’s. Are aides allowed to be alone with students for any part of the school day? The question I would like to ask is…. are Teacher Assistants qualified to teach RTI children. There are no teachers teaching RTI in our Elementary School. Shouldn’t teachers be teaching the students? What is considered small groups for RTI? There are 6 children in some groups. I’m just curious about the standards for RTI in public schools in Tennessee. I am aide in an elementary. They are wanting me to cover a class when the the teacher has collaboration meetings for over an hour. I was under the impression that only certified staff can do that. It is almost impossible for certified teachers to cover classes when they are busy with their own classes or prep time.The role of aides/paras are very flexible in most school systems. In my experiences as a para and others that I know and have witnessed, they do cover the classes while teachers are in collaborative meetings and do quite well. Teachers leave work or activities for the students to engage in– I was not “teaching” as much as watching the class. In larger school districts, paras and interns have been known to cover classes for several periods at a time. I have seen whole classes just sitting at cafeteria tables due to “no coverage” and students just sit and play with their phones. Paras also, for the most part, know the classroom and the students. It is the reality. I believe that it depends on what state you’re in. In California under CA. Ed. Code only a Certificated person may be left with children in a classroom. Hello Eric. Can you please tell me under which ed code this is stated? I want to be able to present the actual ed code to my principal. In Illinois, the answer is NO. I have a teaching license, sub Cert, para Cert, I do1:1 transport w/in building but because I am hired as a para, I cannot be left alone with a class for any amount of time. 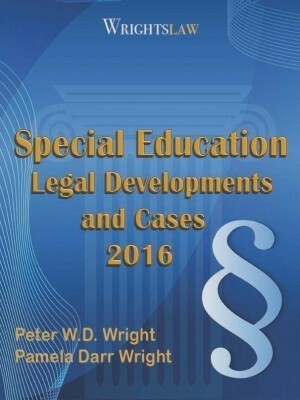 Federal Law: A para cannot teach new material at all. Reteach and reinforce, yes. Cannot pull a small group within class if the teacher is introducing new material. If a Functional Skills class goes on a field trip and kids can not go, is it alright for a aide to stay with students while the teachers are with the field trip kids? No academic instruction will be happening, only monitoring. This is in Indiana. have me still responsible for IEP’s and planning lessons. I question the legality of not having a certified teacher present. Total caseload is 22 students. Thoughts ? Gayle, I have seen this happen in larger school districts in another form or practice. Paras take on many roles and for the most part, some do well and some do not. I have seen special ed teachers absent and not available to even plan lessons for their students a the middle and high school level. My fellow paras and I used to download coloring pages (of the presidents of the USA) during history class, Spanish, etc. for our 1-1 students so we can say they participated in the lesson–no special ed teacher guidance to help us and the regular ed teachers were busy with the regular ed students. We were on our own. We were caught between the battle and egos of overwhelmed teachers. My job was to keep the students busy and “quiet” in regular ed classes. This was the sad reality. I have 26 students in a regular education setting. 12 have either 504 or IEP plans. One requires a one on one scribe, but it is written in his IEP that “an adult will scribe” for him. This language implies that any adult can scribe and although I have an Ed. Tech. provided to me room, she is often asked to cover another classroom while a teacher attends an IEP meeting. My questions are: Is it legal to pull coverage from a classroom to cover a teacher for meetings? Is it my responsibility as a teacher to scribe for a student with Cerebral Palsy while trying to attend to 25 other students with no additional aid? And, does “aide” include a paraprofessional? This article was written prior to Congress replacing NCLB with ESSA – that replaced the “highly qualified” teacher requirement with “effective.” There are many changes still up in the air. Be sure you check your state code and regulations for certification, licensing, training, and supervision requirements for teachers, paraprofessionals, and aides in the classroom. Does a substitute certification qualify as being a paraprofessional? The state agency or school district would have to answer this. Can a substitute teacher fulfill the minutes of an IEP for a student in an inclusion classroom when only a certified teacher is present but the teacher doesn’t have a. special education degree or certificate and neither does the substitute teacher. I have the same question. Does anyone happen to know if a substitute can serve the inclusion minutes for sped kiddos? Hi Page, If you are indeed have a substitute teaching permit.I assume that have your Bachelors or Masters degree in an area other than Education or Special Education. 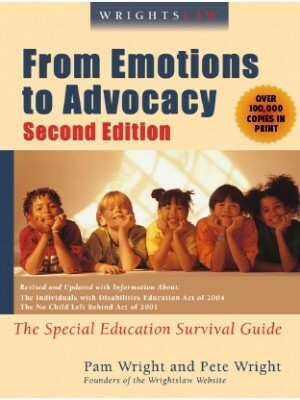 The fact that you refer to students with Special Needs as “Sped Kiddos”, is a bad choice of words, does not employ the use of student first language and therefore maybe a liability for any school district to have you involved in any aspect of a students’ I.E.P.
. Until that time, I would advise that you shy away from that task….. I really don’t even know where to begin asking my questions. I am a dance professional who was originally hired with magnet school funds to teach dance. Over the past 15 years somehow my title has been changed to Instructional Aide. I now have 2 special needs students in my classroom. I’m not a certified teacher and have had NO training on how to handle the needs of these students. I’m not even sure that they are supposed to be left in my care as I feel that this is a liablity. Please advise. I’m a special education teacher that works with about 10 students, two of which are mostly self-contained. I am the only special education teacher, so I push into classes for my students with learning disabilities and the other two students generally work with my paraprofessional. My school will pull my para to sub for other classes and then I am taken away from providing services to my other students to ensure the two self-contained students are receiving their services. Is this even legal? I’ve had several conversations with them that my para was not hired to be a sub, but they continue to use him and screw up my schedule. I would ensure that all the students who require para support have it written into their IEP under supplementary services with a specific description of how much support (minutes) and what the support looks like (some kiddos have ADL needs, some academic etc). 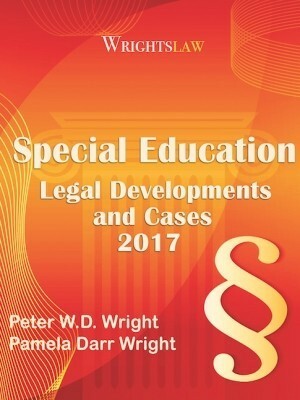 If you are specific in who, when, where, and why- you can then explain to those who use the para staff as subs that if they are pulled- it is violating that student’s right to FAPE and the services defined in their IEPs. 1:1 aide doesnt she have right to help my son with math book whether or not the teacher has instructed on this yet? Say fractions and class hasn’t started fractions but my son has his own math time with her and he needs reminding or direction. What limits does she have? Here is my question. I am a paraprofessional that for two hours a day I have a computer class alone. There is another teacher aide that serves for the other two hours, and one certified teacher that does the other two. We are on the special area rotation. Where students would normally go to PE, Art, Music, etc. Those programs have certified teachers in them. How our district is getting away with it is having the students assigned while they are with us, under a certified teacher’s name. Yet, that teacher never comes into the computer class when we are alone. I am not a certified teacher or even an employee with a degree. Yet, I am being used in the capacity of a teacher because the teacher assigned has other duties or in meetings. Under the new ESSA and ESEA changes. Is this legal? I would like to know the answer to this question. I have seen similar situations and have been wondering if this is legal? Under NCLB each state developed their criteria for highly qualified teachers, & when the student should have access to them. At this time states are developing their ESSA plans. I am not sure that any have been approved by the Dept. of Ed yet. The best place to get info on ESSA would be from staff at your state education agency or their website. Even without approval of their ESSA plan, the state should have rules on what you are describing. I teach a self contained early childhood classroom. I have 10 students and one paraprofessional (ratio 1:5). When I have students who have 1:1 minutes on their IEP (usually for severe behavior), my parapro is used to service those minutes- as long as the minutes don’t go above the total minutes for the day. So when I have a really involved student, my parapro is assisting that student while I am left with the 9. My district used to hire an additional parapro when we had 1:1 minutes, but they don’t anymore. Can classroom parapros be used in this way? I have a BS degree/Elementary education. I work daily as an instructional aid in a classroom alone with 7 classes of students. I have access to IEP of special ed students; responsible for recording grades for grade schedules; and handle disciplinary situations when needed. Is this a legal situation? From my understanding a bachelor’s qualifies you as a sub so i wouldnt see why not. Hi Debbie, Do you have a substitute teaching permit? If not check your districts website for the exact duties and responsibilities of you job title/classification. My advice is that you get the substitute teaching permit and if possible, receive substitute teacher rate. 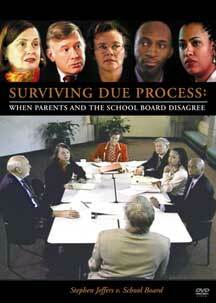 As far as your situation being legal, administrators can say that you are responsible for small group instruction. I have an associate of arts in teaching and I finished my education at utep as well as my student teacher internship. I am working on passing my TExES exams. I am confused with the who can work as a instructor aide because I know that at the Clint district there are personal that only graduated from high school, but they are working as a instructor aide helping the students with their basics learning process. So who is more competent to have this job? somebody that just graduated from high school, or somebody that has the knowledge and education to perform the tasks according to the regulation on education? This is what I call “theory and practice.” In theory, “highly qualified” means highly qualified by the state and federal standards. However, in “practice” we all know the truth. I have also seen paras (mostly those who have been in the system for years) implement, with fidelity, instruction better than recent college graduates because they are trained, knowledgeable and know the system and the school culture. Personally, I would (from my experience) trust a trained para who knows the instruction and can track progress data. I look at the person’s commitment to the curriculum, instruction, data tracking and the progress. Most paras with 5 plus years know their jobs well. Recent college graduates know “book smart” but it takes time and committment to put theory into practice. Can a paraprofessional be added to an Iep without his or her consent, even after telling the teacher she or he does not to work with the student? 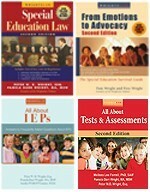 I have been a teachers aide for over 17 years, do I need a para pro test? Can a Paraprofessional legally teach a Computer class with 8 EBD total of 24 students without any assistance? No, it has to be a general education teacher. If a general education teacher is not present or does not apply (as is the case with some students in a self-contained classroom), then you need an Excusal of Mandatory Team Member document to be signed by the parent in the IEP meeting. An uncertified, untrained ea is parked in my room. I am the only ELA teacher on my grade level who has all the Sped/504 students. No Sped teacher assists my kids. The ea doesn’t even know how to give proper writing instruction to ELL kids. What legal rights do I have to get the ea out and a certified Sped teacher in? What do the parent of these students think about this situation? Is access to additional adult assistance or something similar written into their IEPs or 504 plans? Do they recieve support from a SpEd teacher at some other time of the day? Working as a Instructional Paraprofessional 10 years now. In Alabama there is 3 different types of Aides working within the classroom. (1) Teacher’s Aide assists Teachers with non Instructional work These Aides were used before there was a requirement to have a College Education. (2)Instructional Aides are no longer hired without the at least a minor degree.NCLB requires for Instructional Para’s to be Highly Qualified just like teachers. There are some school districts that allows Aides to take a Para-pro keys test which insures that the Aide is knowledgeable. We also go to the same professional development classes and workshops that the teachers do. A lot of the Para’s. that I work with have B.A. degrees. Do not assume Para’s are not educated and prepared to do out jobs. We do teach with great outcomes. In some aspects, I agree with this, but we lucked up and found an awesome aide (who passed her ParaPro test) for my son, and he loves her and he is blossoming under her guidance. She is really good to him and lets me know everything that goes on. Another good thing, I went to school with this girl, so I know her, and she is a good person. Goes out of her way to make him comfortable, sees that he has everything he needs. He is one of the sweetest, kindest kids you would ever want to meet. And she knows what I am saying and have been telling her is right: if you don’t show him that you are interested, he will be the same with you! Just goes to show its the heart where true love for a child comes from. I cannot stand to hear about kids being bullied and terrorized by the ones who are supposed to care for/educate them! As a former paraprofessional, I did my job quite well–some do not. But, there is so much focus on paras. They are under the instruction of the teacher to deliver instruction. Many do direct instruction, after being trained. I have a child in special ed. I have learned that it is more about delivery than qualifications as the most qualifed may not be able to implement. 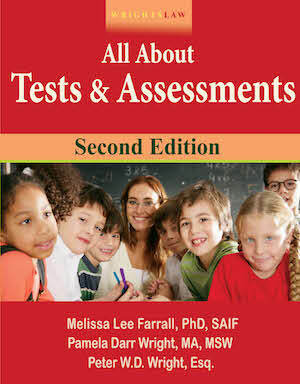 Any child that is failing to read at grade level needs intensive interventions. I was a highly trained and motivated para–more motivated to do my job than some teachers and I picked up the slack for many teachers who were burned out. Observe a para working with your child, ask questions and know that it is the implementation with fidelity that matters. I agree with Sebastian, paraprofessionals are people not tools. There is so much importance to use person first language when discussing students with disabilities, so they don’t become their diagnosis or eligibility, lets try to be just as respectful when considering the roles of school staff. A paraprofessional is a person not a tool. I am an occupational therapist in a large school district in WA state. We have around 10 OTRs in our department and 2 aides with no formal training. Several of the OTRs use the aides to see special ed students with or without OTRs present. I have expressed concern about this, as it does not meet IEP requirements under the law. I am also concerned about state licensure requirements. Can you clarify these two areas please? Neurophychologist. We are a bit ‘stuck’ in the qualifications of the teacher per NYS law. Regardless, I do want to formally thank you and Pete (and all of the other posts). 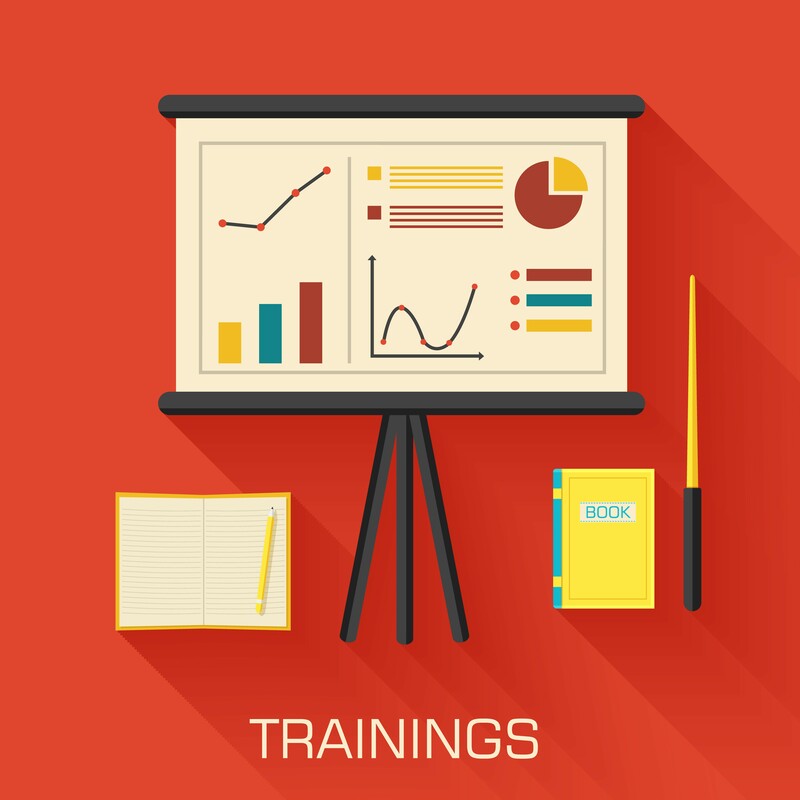 The information and resources provided on your website and blog have been invaluable. Please accept my sincere gratitude for the help that has been provided thus far in helping my son. Deb: Your child has dyslexia which is a specific learning disability, has repeated two grades, and is falling further behind his peers. He needs to be taught by a highly skilled teacher who has expertise in teaching children with dyslexia how to read, write, spell, etc. An aide does not have the necessary knowledge and skills to teach him. You need to get an evaluation of your child by an evaluator in the private sector. Look for a person who has expertise in specific learning disabilities and who is willing to attend school mtgs to describe findings and recommendations. The evaluation should describe your child’s disability and educational needs, and what he needs in an educational program, including the skills and training of the teacher. It states that a Teacher’s Aide can assist Teachers in non-teaching or non-instructional duties. It also lists the duties and qualifications of a Teaching Assistant. Currently, my child is being pulled-out for a special ed reading class which is stipulated in IEP, 60 min (recently diagnosed with dyslexia). He has repeated Kindergarten and is in First Grade, well below peers in literacy. The first 15 minutes of the hour segment is being taught by an aide. There is an overlap and there is another reading group in the same class. I have concerns about this, since this is one of the most critical and important part of my child’s day – in an effort to close the gap in his literacy challenges. The school refuses to make a change. The aide has no formal training or education. The school says it is ‘just review’ and the teacher tells her exactly what needs to be done (she is in the same classroom but teaching fourth graders). Any help on this or where I can look under IDEA or NCLB?